If you have a refurbishment project you will be thinking about which consultants you will need to get on board to realise your dream home. You may need an architect if you are carrying out serious remodelling and certainly an engineer to calculate any structural work. Do you need an interior designer if you already have an architect? And what can an interior designer do for me, you may ask. There are the finishing touches to supply and install; such as window treatments, art, antiques and family heirlooms. A professional interior designer will have an understanding of the entire design process and will be able to lead you through it calmly and efficiently. What is the best time to introduce the interior designer to the project? This should be at the earliest possible stage in the project. The interior layouts should be considered as part of the feasibility and we will ensure the plans reflect your lifestyle. The architects have other priorities when designing a building. We will listen carefully to your brief and consider how you will live in the space. We would then produce a concept design including sketches, watercolours, inspirational images, and furniture layouts. We consider how the spaces flow, where the daylight comes in, where the focal points are, what materials will work best, the acoustics, how the lighting will work for different occasions. The concept design can be discussed and fine tuned, to arrive at a style and atmosphere that suits you. Once planning as been obtained we will already understand your brief and have a design direction and be ready to move on to the detailed design of lighting, joinery and finishes. The design development can be carried out before the tender documents are completed and included for the contractor to cost. Once the build starts all the design decisions will have been discussed, decided, drawn up and costed, so that when the contractor is on site there should be no delays. This will save you time and money and avoid stress. When the build is complete we will be able to implement the finishing touches; source, order and install furniture, fittings and artwork. 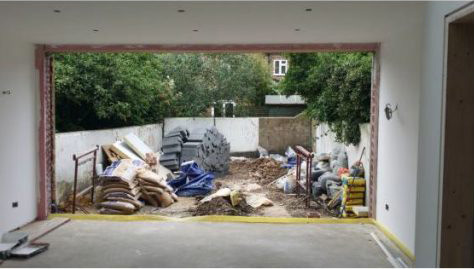 My client bought a rundown house in South London that required complete refurbishment. We submitted the planning application for a garden extension and loft extension, which were approved. 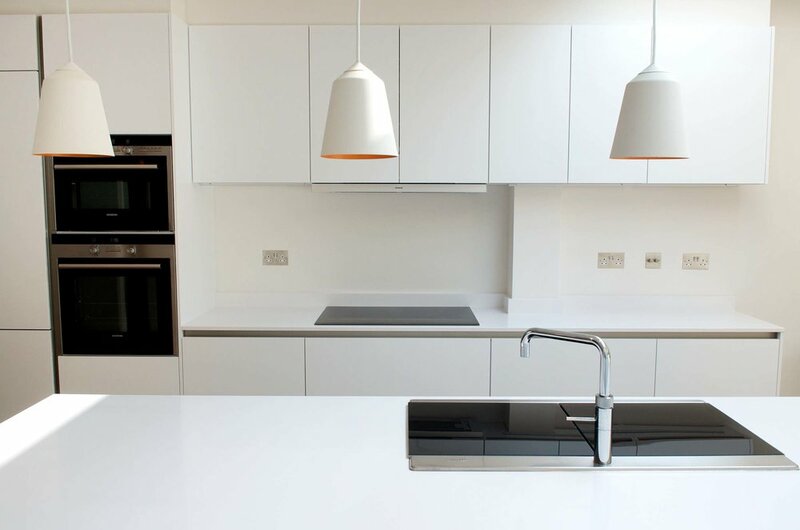 The detail design included the kitchen, three bathrooms, lighting layouts and joinery design. By extending to the rear and filling in the side return a large open plan kitchen dining room and living room were created that opened on to the garden. The style was contemporary and minimal. The extension was designed to be the full width of the garden. The kitchen was a designed and quotes obtained and we choose a German kitchen with white matt doors and recessed finger pulls. The work top was in white Silestone . The client was thrilled to have a much larger and more modern house which had also increased in value as a result of the work carried out. By introducing a separate island extra space was created for preparation. The existing appliances could be reused but the units and worktops were new. Once the layout was agreed we obtained several quotes from different kitchen companies and looked at various colours and materials before choosing a supplier. The advantage of having an interior designer plan the kitchen is the flexibility it gives the client in choosing their supplier. The client was delighted with the results. I also made suggestions for furniture, lighting and fabrics, including an Italian sofa which was a new departure for them but was the most comfortable sofa ever! The room was quite dark so needed warming up; a palette of oranges, reds, burnt umber and a touch of blue was introduced. There was no storage so I designed bespoke joinery units with mirror inset doors to flank the large end window onto the garden. Other joinery items included; log benches to fit into the inglenook fireplace, a TV stand, sofa side tables and a wall console unit, all in Oak with antique mirror details. The walls are finished in a linen effect paint finish and the beams are painted to look like Oak to match the furniture. The curtains are a gorgeous silk from Mulberry and the blinds protect the silk from the sunlight as well as giving a cosy orange glow. New wall lights make the room seem higher and brighter and handmade glass table lamps complete the look. 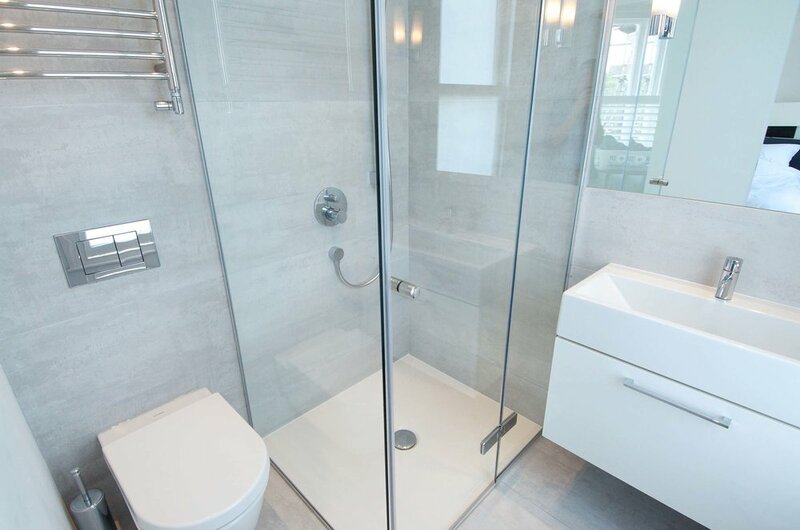 I sourced all the items, presenting the client with a comprehensive estimate for approval before ordering and implementing the designs and then overseeing their manufacture and installation. As an interior designer with many years experience I can see the difference a well designed room a can make to a client’s enjoyment of their home. 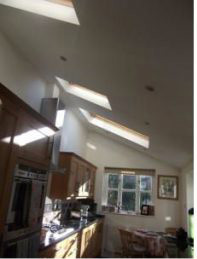 My wealth of knowledge and technical expertise can make a refurbishment project an exciting and enjoyable process. You can relax knowing that you will get the best possible result.